Life just got a bit more difficult for online poker operators in the state of Pennsylvania. After a meeting of the Pennsylvania Gaming Control Board on Wednesday, the online poker behemoth PokerStars was cleared for authorization in the Keystone State. Not only will PokerStars be able to offer their popular online poker software, they will also be able to employ their online casino software and, once it becomes active in the state, their online sports book. In August, PokerStars (through their ownership The Stars Group) announced that they had partnered with one of the first casino operations in Pennsylvania to hop into the online gaming arena. The Mount Airy Casino Resort was one of the first operators that picked up licenses for all three options – poker, online slots and table games – but it hadn’t teamed up with a software provider prior to August. With The Stars Group bringing their entirety of gaming options, the Mount Airy Casino Resort will have a strong partner to play with. As big as it is that Mount Airy Casino teamed with The Stars Group, it is arguably just as big for The Stars Group. With the official licensing by Pennsylvania gaming officials, the state becomes the second operation in the U. S. to accept PokerStars back into the fold. 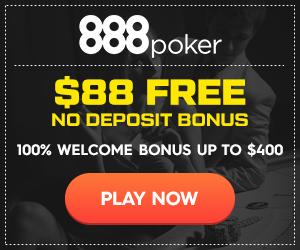 With the other state being New Jersey, the potential for a compact between the states could see PokerStars join WSOP.com (Caesars Entertainment/888 Holdings Limited’s online poker operation) as the only regulated online poker sites with a multi-state option. Furthermore, the new agreement between The Stars Group and the Nevada-based Eldorado Resorts is demonstrating that The Stars Group is aggressively attacking those markets that previously was thought to be untenable due to the actions of PokerStars’ prior ownership. The new licenses being announced on Wednesday – The Stars Group was joined by the Mohegan Sun Pocono in receiving licenses – also brought a bit of a downside. In the case of the Mohegan Sun, they made the choice to drop their online poker pursuit and only be licensed for online casinos and table games. Other potential licensees have also taken this step, surprisingly. With the taxation rate on online poker being the lowest of the offerings in Pennsylvania, it might be thought that they would be the one that everyone would want to have. What has been shown in the states that have approved online poker in the past – Delaware, Nevada and New Jersey – is that online poker isn’t the engine that drives online gaming. Online casinos – with their slots for “quick hit” play or table games that don’t require a group to play – have been demonstrating that they are extremely popular, especially in New Jersey. Even in Pennsylvania, with its exorbitantly high tax rates for online slots, would still be a moneymaker for any online operation to take part in (especially with the 12 million citizens in the state). Online poker – although the numbers would presumably be doubled also – still would have problems in turning a profit despite the lower taxation rate. This could be the reason that so many operations in Pennsylvania are passing on their online poker for the moment. If the future shows that there is a viable compacted online poker industry – one in which there is a sizeable chunk of players from across the States of America, rather than just a few states and a couple hundred players – then the Pennsylvania operators can get in on the game. Until that point, however, they are saving the money for the license and putting it towards their online casino operations. With these licenses handed out, there is still no movement as to when the Pennsylvania system will come online. Estimates are currently for action to start in the first quarter of 2019, but nobody has announced an official start date as of yet.